Rinsing myself on the treadmill, snow, more snow but at track and getting proper grumpy about how it felt, then the Southern XC champs which were ok.
NAZ elite do the double, Paula Radcliffe’s record gets beaten (not that one) in Mexico, Fiona de Mauny wins Brighton half, Steph Twell is hedging her bets for Tokyo 2020 and there’s Tokyo ‘19 just mere days away with a full elite line up. Enjoy! 3 ladies, 6 days and an awful lot of coast in Costa Rica, Kaci Lickteig goes after a golden ticket for WS100, Trangrancanaria is looming and much more. Get your trail-fill here. Seville and Hong Kong marathon have record breaking weekends, #runequal is global, news of Lily and Gabe, Tokyo marathon previews and NAZ elite have news. I think it is safe to say that the Klaxon has sounded for the end of "Off Season - Schmoff Season" (as Alex Nichols so beautifully summarised Courtney Dauwalter's trail efforts in a tweet the other day). Things are heating up, okay mostly in the Southern Hemisphere, but the level of performance on display down under is enough to put a spring in the step of us trudging through ever increasing levels of mud up north too. Camille Herron is through 141km. She is 40 minutes behind Jeff Browning and she has just been through “the bonk from Hell”. She is running on heart with the pain locked right behind a determined grin. Beer and pizza are on the menu 6km from here and we’re expecting her to hit the finish line close to 9pm, maybe a little more than 15 hours after she started. We’re all cheering you. Go Camille!!!!!! The shorter 100 k distance of this prestigious and stunning looking ultra trail is usually the most competitive one, not only because of its early season race date making more runners opt for less mileage but also due to it being the second instalment of the Ultra-Trail World Tour series. This years edition did not disappoint and served up both big names and great performances. Our favourite pair of Baggy Shorts were making their first appearance of the year and sitting on the legs of Courtney Dauwalter it is not surprising that they saw most of this fast paced race from the front end. Courtney and local lass Cecilia Flori could be seen cruising through the first three check points together before Dauwalter "dewey-ed to it" and took control of the lead. She won the race (and placed 8th OA) in 09:28:03 twenty minutes ahead of the speedy Austrailan runner Stephanie Auston ( https://stephanieauston.wordpress.com, https://www.instagram.com/steph_auston/?hl=en) who ran a very impressive debut on the 100 k distance. Rounding out the podium was last years New Caledonia Ultra Trail champion Angelique Plaire from France in 10:39. The 100 miler might not have been as stacked with elite names but what does that matter when you have a 24 hour record holder toeing the line. The flat and fast start to the 100 mile course suited Camille Herron like hand in glove and she went off like fire leaving not only her sisters but also the entire field of men in her dust. With Zac Marion battling cramps and Jeff Browning taking a wrong turn leading to a 30 minute detour it looked like she was on to an outright victory but as the trail turned technical during the last quarter of the race Camille's wheels started to come off and she could not hold off the by now ferociously chasing Hard Rock champion any longer. Herron still managed to bag 2nd OA behind Jeff Browning and obliterated the female course record with a 17:50:22 finish. To think that I doubted she'd be at the start-line in my preview last week … Second lady was Katie Wright in 23:43:26 and 25 minutes behind in third was Lesley Park. Impressive season debuts from both Courtney and Camille, fingers crossed for an injury free spring for Americas two big C's so we get to see them in proper battle mode at WS100 in June! It feels like this autonomous and most westernised region of the east is slowly but steadily becoming the Alps of the Winter (for runners, not skiers …). With trail running becoming increasingly popular in Asia there are new races popping up every year and older events like the "somewhat" INSANE Four Trails gains wider recognition and with that a stream of international runners. 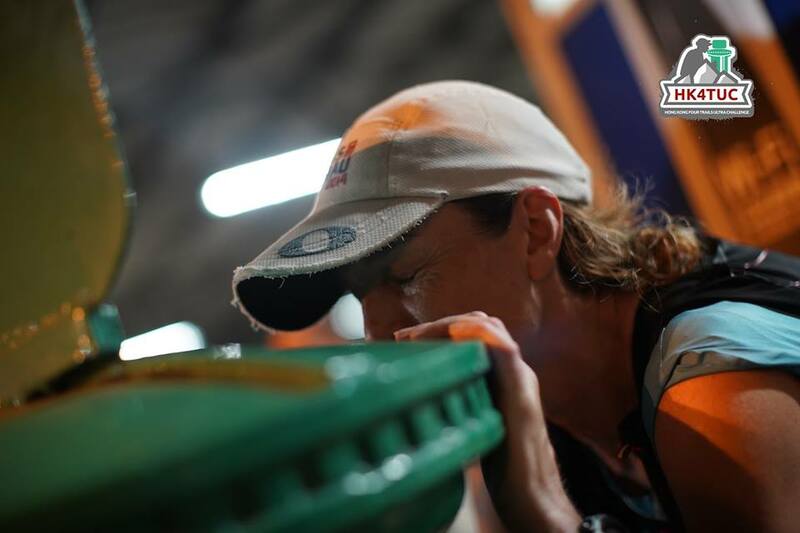 The HK4TUC started back in 2012 and is a self supported non stop event where runners complete each of the four big trails (Maclehose, Wilson, Hong Kong, Lantau) of Hong Kong within a time limit of 75 hours. The biggest challenge, at least for the foreign visitors, seems to be sorting out the transport between the trails. Up until this year only 6 runners had completed the race under 60 hours and no female runner had made it back to kiss the Green Post Box by the ferry terminal in Mui Wo that marks the finish before the "finisher" cutoff. You are considered a survivor of the race if you complete Maclehose within 18 hours (the first cut off), start the Lantau trail within 56 hours (the second cut off) and have finished all four trails within 75 hours (the final cut off) and a finisher if you reach Mui Wo under 60 . There are also a long list of rules that the runners have to follow, poles for examples are not permitted (the inner hippie of yours truly highly approves of this :) ) and whilst you are allowed a crew outside of the trail you can not have a drop bag, pacer or anyone running with you whilst on route. You can however, as there are no aid stations, buy supplies and food in shops and vending machines along the route IF you are lucky enough to encounter them during opening hours that is ……. As the race description goes; "This is only for people who love pain and suffering and get a thrill out of attempting something that they deem impossible and they expect most likely to completely fail at". Since this is a low key, community driven race there are no official rankings as such BUT the participants have to use live tracking and similarly to The Spine there is a daily summary of footage being uploaded to the race Facebook page which is how i know that the 2019 edition of the four trails had a first ever female finisher in Nikki Han. Nikki is British but lives in Hong Kong, she completed the challenge in 58 hours and 20 minutes! Whatta Shero! THE COASTAL CHALLENGE COSTA RICA is underway and in the spirit of 2019 the ladies are C.R.U.S.H.I.N.G it. Ida Nilsson won the first stage out right, had a bit of a wobble on day 2 but was back in form for a second OA finish on day three. She has so far taken down the ladies course record on all the three completed stages and is not only leading the women's race but is currently sitting as 3rd OA. Behind Ida there is a daily battle between the previous champion and record holder Ragna Debats and Holly Page. Three days remains and we will be back with the final results in next weeks round up. For now: HEJA IDA! This second Golden Ticket race of the year is stacked with strong runners and will give us a good idea of the American trail elites early season form. Kaci Lickteig and Yiou Yang are both speedy marathoners and this flat and not too technical 100 k route should suit them. They will be joined by handful of other long distance trail champions in the hunt for WS 100 starting numbers though so this is likely to be a fast and furious edition of the Black Canyon 100. That's it trail heads! More muddy kicks in seven! Charlotte Arter (I: @arterc91) was not only at the front of a strong showing from the Brits at last weekend’s eDreams Mitja Marato Barcelona , but at the front of the field all together. The British 10,000m chapion who recently set the fastest ever female Parkrun time of 15:50 in Cardiff in Jan showed that she’s fast over even longer distances. She broke the Welsh women’s half marathon record, improved her PB by almost two minutes and ran 69:40 to move from 21st to eighth on the UK all-time list and place 5th in the race. The women’s race had been billed as a serious attack on the world record by the rising star [Roza] Dereje. She came up short, but still clocked 1:06:01 to clip a full minute from her previous lifetime best. Second place went to Kuma for the second year in a row (taking 2 mins off her PB) but Sally Cepyego could only hold on for a slower - than best third place. Ann-Marie McGlynn of Ireland (@mcglynnannmarie) also ran a hefty 1:49 PB while Sonia Samuels and Lily Partridge (@lilypartridge) crossed the line together in 1:12:20. It’s sad to see Lily so frustrated by problems with her back hampering her performance. I really hope that this doesn’t bode ill for London. Tracy Barlow (@tracy4734) ran her second fastest time ever off virtually no tape and was understandably pleased at that performance on a distance which isn’t her normal battle ground. 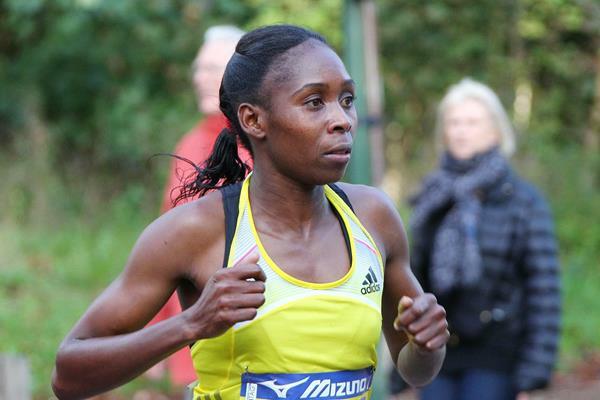 Hot on the heels of last week’s news regarding Ex-VLM and Olympic champion Jemima Sumgong’s doping ban, it’s sad to have to report another example of apparent rule breaking. Sarah Chepchir, who is a former training partner and sister-in-law to Sumgong has been provisionally banned by the Athletics Integrity Unit. Chepchir won Tokyo marathon in 2017 and holds the course record in 2:19:47. Athletics Kenya President Lt Gen(RTD) Jack Tuwei has said that “We have had conversations with all our athletes and no one is being forced to dope. It’s a personal decision so those found will carry their own cross and face the consequences” and the AIU have quoted the responsibility of the athlete to make sure that no banned substances enter their body and not banned methods are used. So, whilst it is interesting that Chepchir has shared a coach with Sumgong it seems that the finger will always be pointed very much at the individual. Indeed, the AIU say that it is not necessary that intent, fault, negligence or knowing use be proved. I can’t quite see how a provisional bad can become anything less than a full ban given this kind of athlete-centric approach. I can’t make up my mind how to feel about it - obviously it’s terrible that people cheat but what if it’s endemic and expected of athletes - who should be punished the most? Chepchir says herself in an old interview that the live you have to earn money and you only earn money if you win. It’s inexcusable to cheat and I don’t for one second think someone should be given a soft sentence, but perhaps there are others who need to be brought into the spotlight too. Chepchichir’s agent is Federico Rosa—yep, that guy—who represented Sumgong, as well as Rita Jeptoo, the former Boston Marathon champion who got a four-year suspension for doping, Lucy Kabuu, who is currently serving a two-year doping ban (for morphine, of all things), former Olympic 1500m gold medalist Asbel Kiprop, who also got nailed for EPO, and Mathew Kisorio, the 58:46 half marathoner who tested positive for steroids back in 2012. Am I forgetting anyone? In covering Emma Bates’ win at CIM back in December I (and it seems others) managed to miss an interesting result. CIM is the US Marathon Championships, Boston qualifying, Oympic Trials qualifying and a fast, paced race. So it always garners some great performances and some up and coming athletes looking to make the next leap. It is one of those ‘unknown’ athletes that RunnersWorld picked up on this week. 3rd placing Samantha Roeker (@Samroeker), like Sarah Sellars (of 2nd in Boston fame) is both unsponsored and a nurse. She talks about her 8 minute PB, training with Emily Sisson (who we mentioned last week as she’ll run her first marathon at London), 100mile weeks, having to be ‘hyper-focused’ and her love of Tracksmith clothing. Check out the article here, it’s a good read. Sadly it seems that professional middle distance runner, eternal optimist, rare cancer surviver and constant fighter has had some bad news regarding her health. If you’ve not red her story at bravelikegabe.org, please do. It’smincredible. She recently tweeted the below message. Our thoughts are with her and Justin. Since last Thursday I’ve been dealing with health complications due to cancer. My last scan was not encouraging but I am getting the best care possible @MayoClinic (with consult from @sloan_kettering). ❤️ Prayers welcome. Gabriele has survived multiple bouts with cancer. Initially diagnosed with a rare salivary gland cancer, adenoid cystic carcinoma, in 2009, and thyroid cancer in 2010. She experienced recurrences of adenoid cystic carcinoma in 2016 and 2017. Under the guidance of coach Dennis Barker, Gabriele aims to return to elite competition in 2018 and ultimately has her sights set on the 2020 Olympics in Tokyo. She lives and trains along the banks of the Mississippi River in Minneapolis with her husband, Justin. Hong Kong and Seville Marathons are this weekend on the 17th. As yet, I can’t find any start lists for these but if I do I’ll let you know. As usual… I’m off to hit the track now. Tarra. Charlotte and Sinead produce grin-making results and there’s more marathoners grinding through their training in prep for springtime races. Get your road-running fix here. Tina Muir (I @tinamuir88/) and Teal Burrell (I: @runnerteal) have both thrown themselves into the mix for Boston.